Bacterial pneumonia will cause you to have high fever, rapid but shortness in breathing, extreme fatigue, abdominal pain and others. Viral pneumonia makes you chill, have a high fever, experience muscle aches, chest pain, sore throats, coughing and others. Mycoplasma pneumonia makes you feel nauseated, weak and have a fever. 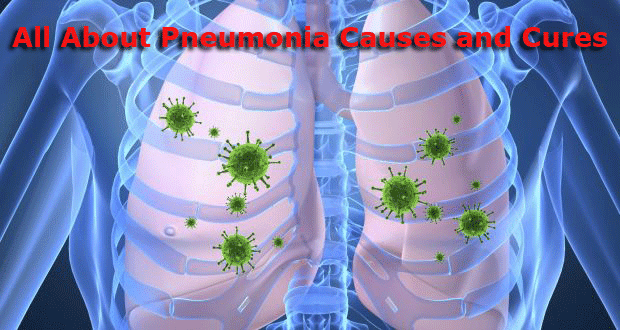 The main causes of pneumonia are viral and bacterial infection. This happens when there is a solidification of pus in the air sacs. When the air sacs are filled with this, there is a tendency for the bacteria or virus to stick with it and cause the inflammation. This will be the start of the so-called pneumonia which is very dangerous. Plenty of rest and fluid intake is the cure for mild pneumonia. This can be done at home by allowing the person to rest while the healing process is there. Antibiotics are also good medicines to take when there is pneumonia. These antibiotics will fight the virus and bacteria in the lungs that will stop the pneumonia. When you have pneumonia, make sure that you are able to rest well in order to condition your infected lung. You may think that you are already okay after the medication but the thing is you are not. You still have to wait for your lungs to get back to normal. Once the pneumonia become severe, hospitalization is needed and a specialist should be consulted to do this for you. Remember, there is a difficulty in breathing and other symptoms that you might feel and do not disregard them for they will be your marking in terms of determining how severe your pneumonia is.